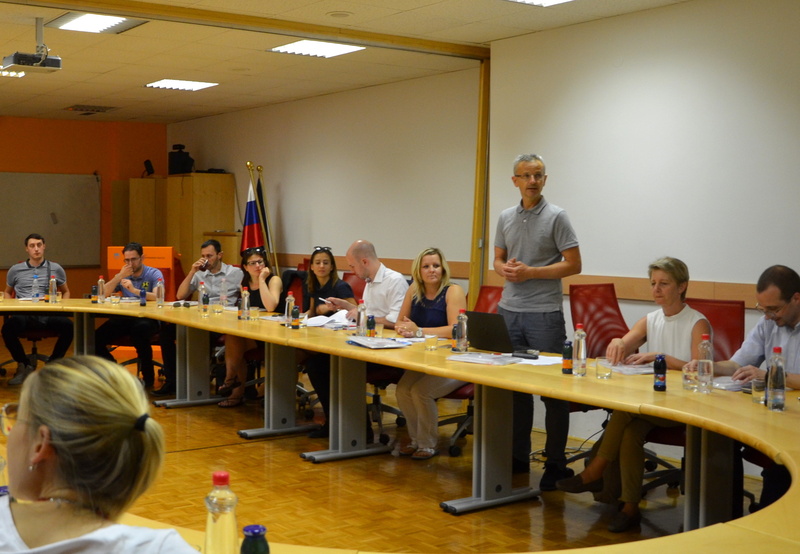 On 22 June 2017 the Managing Authority and the Joint Secretariat of the CP Interreg V-A Slovenia-Austria hosted students of the master course »European studies – management of EU projects« from Eisenstadt, Austria. In the frame of the excursion to Ljubljana a group of 24 students and 2 mentors also visited the Government Office for Development and European Cohesion Policy, Cross-Border Programmes Management Division. 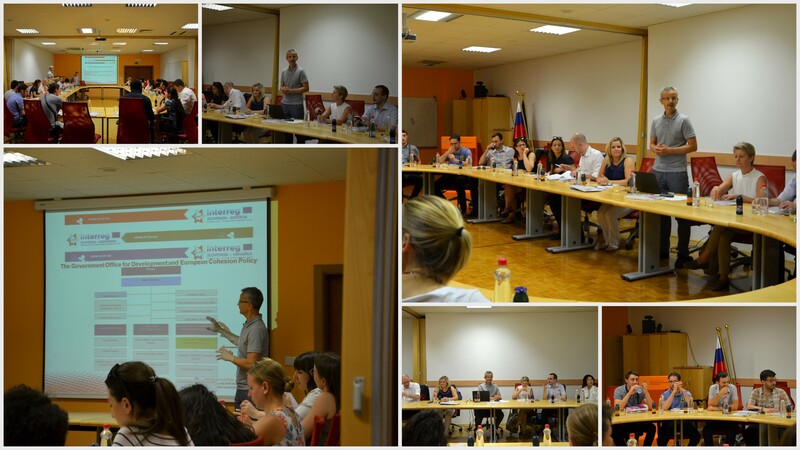 Dimitrij Pur, deputy head of the Managing Authority and Mojca Muršec, Head of the Joint Secretariat welcomed the participants and presented the European cohesion policy in general, Cooperation programme Interreg V-A Slovenia-Austria and the results of some co-financed projects. Such meetings are a part of a mosaic, which contributes to the joint »opening of the borders«, to the integration within EU and strengthens our joint European identity. On Wednesday, 14 June 2017, two workshops, one for reporting and one for applicants, were carried out in the frame of the programme. Within the second deadline of the Public Call for project proposals of the Cooperation Programme Interreg V-A Slovenia-Austria, 10 projects were approved for implementation. For the beneficiaries of these projects, the workshop on reporting for the projects approved in the frame of the second deadline was held on Wednesday, 14 June 2017. More than 60 participants attended the workshop. Most of the participants attended the workshop in the role of Lead or Project partner; however, also programme partners from both participating countries were present at the workshop. 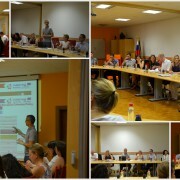 In the afternoon, also the workshop for potential applicants in the frame of the Open Call took place. In the frame of the Open Call, a bit more than 21 Mio EUR from the European Regional Development Fund are still available for projects. The third deadline for the submission of projects will close on 14 September 2017 at noon. We would like to inform you, that the registration for the workshop for applicants in the frame of the Cooperation Programme Interreg V-A Slovenia-Austria in the period 2014-2020, which will take place on 14 June 2017 in Dobrna (Slovenia), is now possible. To register, fill out the registration form for the workshop under the following link: REGISTRATION. 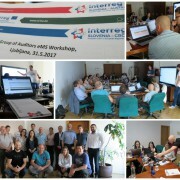 The workshop is intended for potential applicants in the frame of the Open Call for Proposals of the Cooperation Programme Interreg V-A Slovenia-Austria 2014-2020. 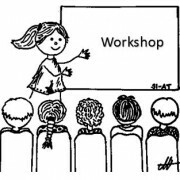 The workshop will be carried out in such a way (simultaneous translations will be provided) that participants from both countries can participate at the workshop. We would like to inform you that the corrigendum of the Open Call for Proposals and the new versions of Part 2 and 3 of the Manual for Beneficiaries were published. 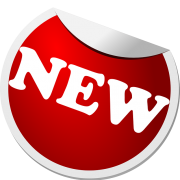 The Corrigendum was published in todays Official Gazette of the Republic of Slovenia and on the programme website under OPEN CALL, where also the new versions of Part 2 and 3 of the Manual for Beneficiaries are available. 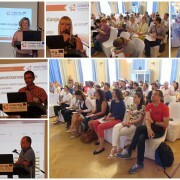 Ljubljana, 31 May 2017 – The Government Office for Development and European Cohesion Policy in its role as the Managing Authority (MA) and Joint Secretariats (JS) for the Cooperation Programmes Interreg V-A Slovenia-Austria, Slovenia-Hungary and Slovenia-Croatia delivered a training for the representatives of the Group of Auditors on the use of the electronic Monitoring System (eMS). Representatives of audit bodies from Austria, Hungary, Croatia and the audit authority from Slovenia attended the workshop, where they got to know the system in more detail. More specifically, the registration in the eMS, the communication module, the composition of the application form, the assessment of the applications, the reporting process in the system, the module of the first level control, the project progress reports, etc. were presented. The focus was on the presentation of the module for the Certifying Authority and the module for audits and financial corrections. The acquired knowledge was consolidated by solving 38 tasks that were prepared by representatives of the MA and JS.  The training will certainly contribute to a qualitative and faster implementation of project and system audits.